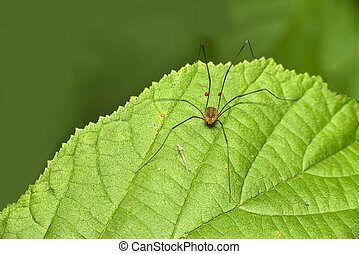 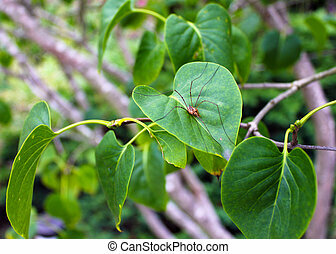 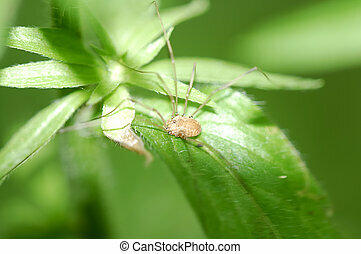 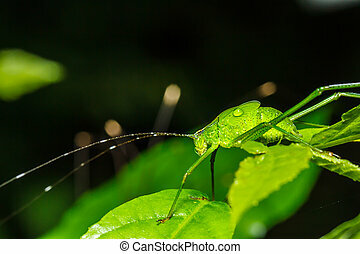 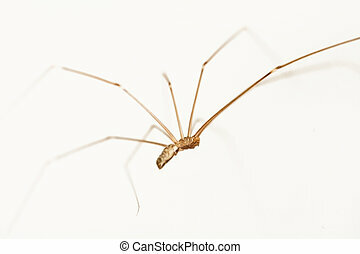 Daddy long legs spider. 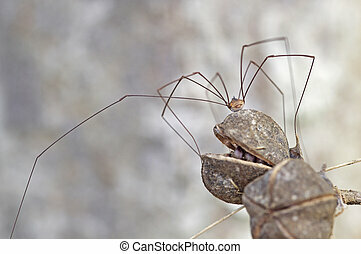 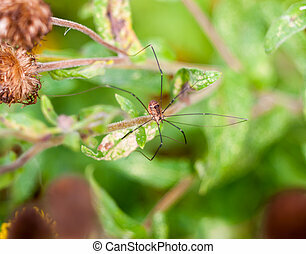 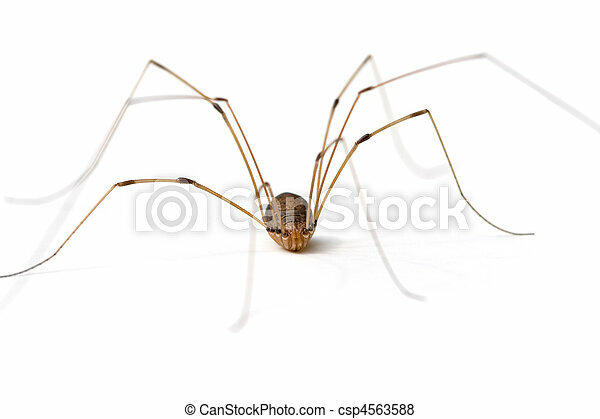 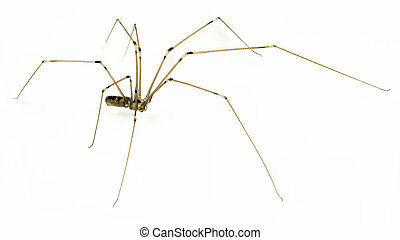 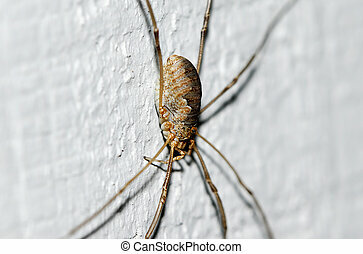 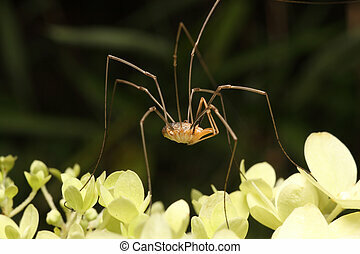 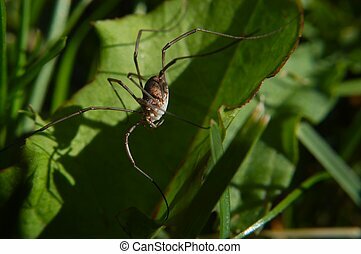 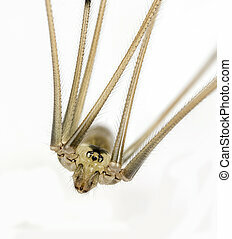 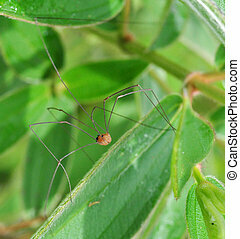 Daddy long legs (opiliones) or harvestmen arachnid. 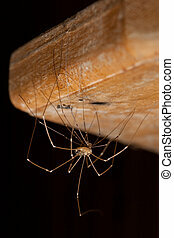 A close up of a daddy long legs spider.